For 2019, l resolved not to make any New Year’s resolutions until I lost a ton of weight; wrote a best-selling book and grew three inches. So far, so good! 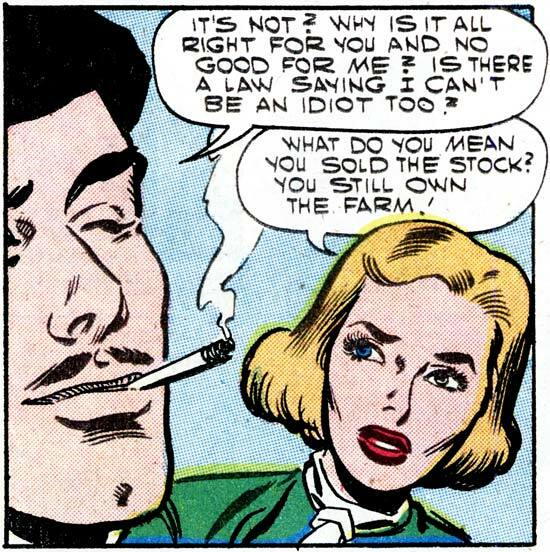 Art by Charles Nicholas & Sal Trapani from the story “One Stolen Kiss” from FIRST KISS #1, 1957. SCENE: A wearing a beret and smoking a cigarette talks to a woman. 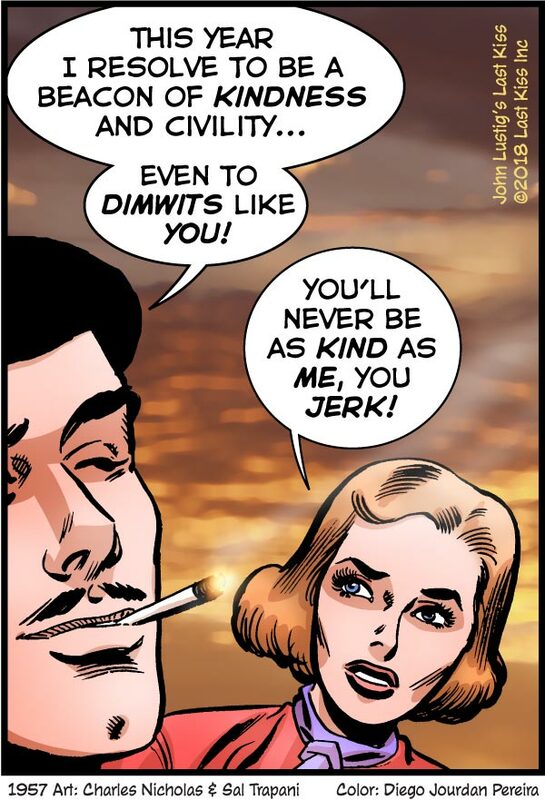 MAN: This year I resolve to be a beacon of kindness and civility…even to dimwits like you! WOMAN: You’ll never be as kind as me, you jerk! MAN: This year I resolve to be a beacon of kindness and civility...even to dimwits like you! Besides paying tribute to Stan Lee, today’s comic is also special because it’s given me an idea for something new for Last Kiss. Or rather something old that many of you haven’t seen before. So, for the next few Fridays, I’ll be reprinting the best of my CBG strips. Whether I continue doing so will largely depends on reader reactions. I hope you like ’em. Let me know what you think. 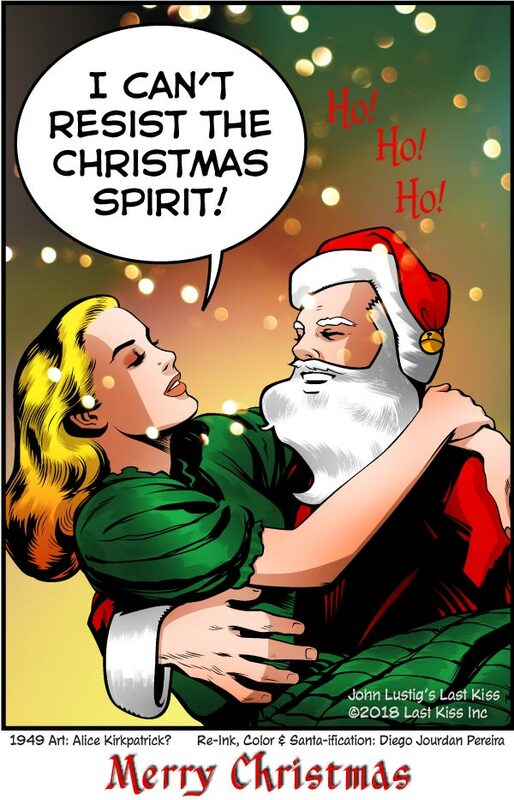 Art from an old, Fox News interview with Stan Lee. 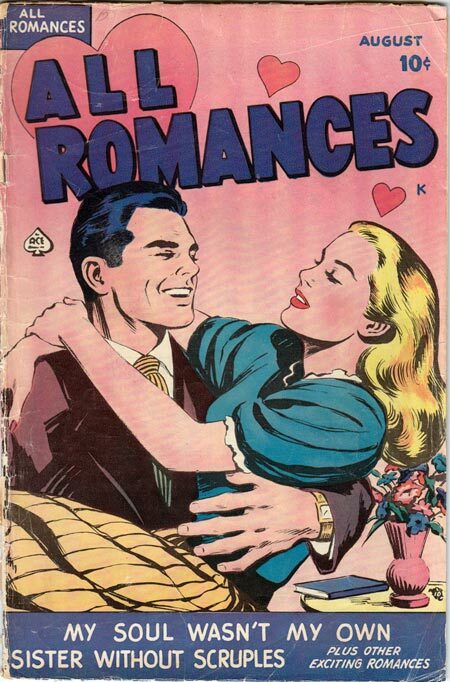 CAPTION: Welcome to the exciting world of comics–where all sentences end in exclamation marks! All wars end with knockout punches! And outrageous fantasies never end! STAN: Try again, True Believer! INTERVIEWER: Oh, my! Then you must be a…(gulp! )…super villain, right? SCENE: Cut back to all three of them. Stan smiles and pumps his fist. WOMAN: No! I’m just Stan’s secretary! He says all the women who work in comics dress like this! INTERVIEWER: Sheer genius! And that’s why Stan’s the man! CAPTION: Playfully dedicated to Stan Lee on what would’ve been his 96th birthday. Art © 2018 Marvel Characters, Inc. Used with permission. CAPTION: Welcome to the exciting world of comics--where all sentences end in exclamation marks! All wars end with knockout punches! And outrageous fantasies never end! INTERVIEWER: Oh, my! Then you must be a...(gulp! )...super villain, right? WOMAN: No! I'm just Stan's secretary! He says all the women who work in comics dress like this! INTERVIEWER: Sheer genius! And that's why Stan's the man! 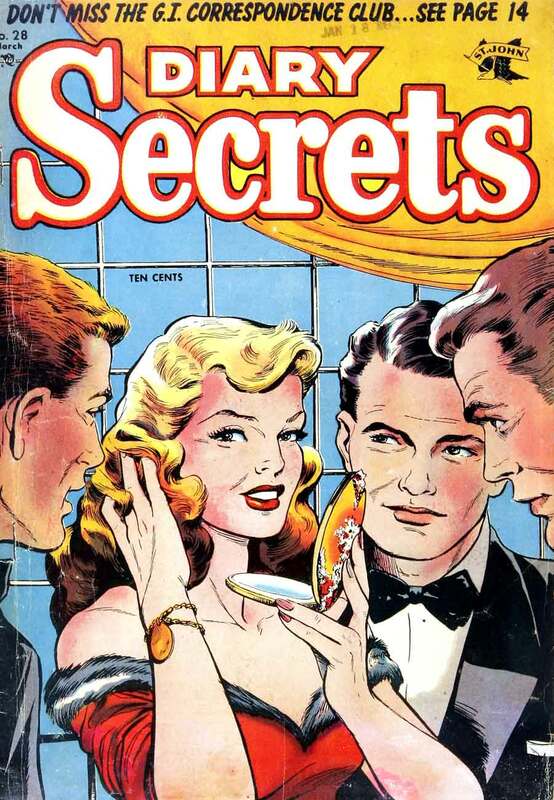 Art by Matt Baker from the cover of Diary Secrets #28, March 1955. SCENE: Woman with a compact mirror in a fur-lined outfit/dress who is smiling and patting her her hair. WOMAN: Like Most women, I’m easy to love! impossible to forget! And dangerous to ignore!